Jetty Lodge accommodates 4/6 people. It has a king size en-suite bedroom, a large lounge with a double sofa bed (optional extra) and full length balcony overlooking the loch on the upper level. There is a second king size en-suite bedroom with a spacious downstairs lounge dining area and fully fitted kitchen on the ground floor level leading through French doors to a large waterside decked patio with furniture, barbeque and beach. All rooms have loch views, satellite TV and central heating. Great stay at Jetty Lodge! Such a beautiful setting and perfect for what we needed. We appreciated the amenities and could have sat for hours looking out at the Loch. Easy to follow instructions and great to have parking right outside. The front door was quite stiff and difficult to lock and we actually had to leave the door unlocked next door at Creinch when we went out as I just couldn’t manage to lock it. But a wonderful place to stay and we hope to be back very soon! This is the second time we have stayed at the Jetty Lodge. Last year on our 1st Wedding Anniversary and again this year for our 2nd. I had previously stayed at Bonniebanks Cottage with friends a couple of years ago. The accomodations are spotlessly clean and very well equipped. The location of all the lodges/cottages is beautiful. At the Jetty Lodge you can sit on the decking right at the water's edge. Very relaxing stay and just a short 10min walk from Duck Bay Marina if you feel like a bit more company. Would definitely go back and would recommend to anyone if you're wanting to get away from it all for a few days. Another wonderful weekend spent in one of our favourite places. From the booking, which Liz makes so easy for the client, to arriving to an extremely comfortable lodge with magnificent views was fabulous. Even the weather behaved itself. The best therapy ever. See you again soon and thanks for your hospitality. Super time at the lodge - it hasn’t changed in many years. Kitchen and lighting could perhaps be upgraded. Everything about our stay was perfect from location to accommodation to customer service . One felt one could stay here forever and be perfectly satisfied. We have now stayed at Jetty Lodge 5 times and will be back in the New Year.. Excellent place to stay and great views. Hi Cindy as always we are delighted that you had a wonderful time. Thank you so much for your feed back it is important to us and of course for other guests reading your review. I am very sorry to learn that you found the sofa bed uncomfortable. I shall get this looked into as the sofa bed is not old and we have not had any complaints at all ref its comfort. Regarding the hot water I do wish you had mentioned this during your stay, we can resolve issues if we know about them. Thoroughly enjoyed our stay, 2nd time around at Jetty Lodge. The only downside was the 10am checkout which is a little early given check in is from 3pm. 12pm checkout would be ideal although 11am is perhaps more realistic. This is our 4th visit to Jetty Lodge and yes we expect to return. The booking procedure is easy with admin staff very friendly & helpful keeping guests informed from enquiry to physical arrival. The Lodge is in perfect location, well equipped to the smallest detail and very comfortable. Perhaps the bathrooms could do with a bit of a spruce up but nonetheless were clean, had good towels and adequately did the job. This short break at jetty lodge was everything we expected and more, from pulling up early to our clean accommodation to disappointingly going home loved every minute. The views alone are enough but it’s so much more . Another excellent weekend in the most beautiful lodge and setting! Our 7th stay and our friends 1st. I’m delighted to say that they loved it as much as us! We absolutely love the lodge and the view is just spectacular you can loose hours just watching the scenery. Cannot wait to come back wil hopefully get booked up soon. All Graham’s lodges that we have stayed in are all as amazing as the Jetty and thanks to Liz whose customer service is second to none! My friend and I recently stayed at the Jetty for a few nights as part of our 2 week tour of Scotland. It was the relaxing break we needed after 10 nights on the road in a different place every night. The rental was beautifully appointed and very clean. Graham, Jean, Liz and Fiona were incredibly helpful with everything from making the booking, providing directions, to answering questions about how to lock the doors when we arrived. They were even so kind as to leave a few essentials in the kitchen for us to start with until we purchased groceries. This place is only about 6 feet off the water, and the view from the large picture windows over the loch are breathtaking. Two things to note: the noise from the road is quite noticeable from the upstairs bedroom. If you are accustomed to it, it is not an issue. If you want complete silence, the opt for the downstairs bedroom. Also note that the bathroom lights/fans are automatic when you enter. The only time this is a problem is if you get up to go in the middle of the night, as you will definitely be awakened. I would highly recommend this property; I myself am looking forward to returning in a year or two. Enjoyed our week in Jetty Lodge, the location is amazing, views are stunning. It is just a short walk to Duck Bay Marina if you want a lunch or meal out. Unfortunately Cameron House was still closed as it would have been nice to use there facilities. The lodge although comfortable requires extra cleaning checks on areas, especially in the ground floor bedroom. There was cobwebs on the inside of the windows and a large build up dust behind the furniture in this room. It also smelled of dampness and a dehumidifier was in situ. This is just my opinion and may seem minor, but overall it didn’t affect the enjoyment of our visit. Our recent stay in Jetty Lodge more than lived up to expectations. It’s location is stunning and the layout of the lodge with the upstairs lounge and deck as well as the downstairs ones gave us choices of where to do our relaxing. Given the fantastic weather during our stay they were both well used! Jetty Lodge is close enough to local amenities both for leisure, sightseeing and for shopping but its position means you can return to it after a day out and be away from the world. All in all a well equipped, comfortable lodge in a beautiful location which provided us with the relaxing holiday we wanted. Just perfect, one slight problem with the downstairs bathroom, extractor fan very noisy, didn't worry us, but may be annoying for anyone sleeping in the downstairs bedroom, everything else was just lovely. jetty Lodge is a spacious, well-equipped house that was perfect for our needs - two couples sharing in order to attend a wedding at The Cruin. There was plenty of storage space for clothes and it was ideal to have the two bathrooms for getting ready. The views of the loch from the two living rooms are spectacular, and there is a lovely balcony on the upper floor. The house was warm and tastefully furnished and there was everything we needed for our three day stay, including some food in the fridge and a bottle of wine. The only drawback was the bathroom's motion-sensor light and extractor fan. Because there was no over-ride switch it meant when one or other of us got up during the night to use the toilet, the noisy fan and very bright light came on and stayed on for some time afterwards, making it hard to get back to sleep. We had the most fantastic few days in the Jetty Lodge celebrating our son and daughter in laws wedding. The Jetty was ideal for all our family and friends to all meet together. So cozy and warm inside watching the snow falling on Ben Loch was beautiful. Walking distance to the a Cruin where the wedding took place. Loved everything about the Jetty. Thank you to Liz and your team for making our stay so special. We will be back one day. Thank you. anything. We shall be back a 7th time, I'm sure! We stayed here for 3 nights for our 1st Wedding anniversary. We couldn't fault it at all. The location of the Jetty Lodge is wonderful. A couple of feet away from the water's edge. Swans, ducks and geese visited us each day. It's only a 10/15min stroll from Duck Bay Marina. The accommodation itself is great. Rooms are spotless and well equipped. The day after we got back Awe booked up again for next year's anniversary. A great place to stay if you want to get away from it all. A lovely peaceful location. Stunning loch views and a great base to explore the area. Close to Cameron House so nice to have the facilities of a luxury hotel nearby. This is an absolutely stunning location and you could sit for hours simply watching the view. The lodge itself is a delight and extremely comfortable. Couldn’t recommend it highly enough. This is the second time we have stayed at Jetty (4 times previously at other Auchenheglish properties) and it certainly lived up to our expectations. The stress just melts away. 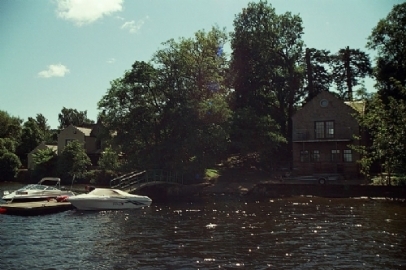 The property commands excellent views of the Loch, is very comfortable & clean and well equipped. Administration staff, Liz, handling the booking is extremely friendly and helpful, keeping us informed throughout the process from enquiry to arrival. We have recommended Auchenheglish to friends and know of one group who have recently stayed. We shall certainly return, almost certainly to Jetty. It would be good if perhaps a loyalty system could be offered to returning guests.....just a suggestion. We had an excellent weekend at this lodge. Very spacious and comfortable. So relaxing and worth every penny . Definitely go back. We had an absolutely wonderful short break at Jetty Lodge. The weather was excellent so the views across the water were incredible. The colours of the sunrise with the pinks and smoky grey on the distant mountains were straight out of a painting. The sunset of course will not be forgotten either. There are great places to eat out nearby, important, for I wasn't wanting any cooking on this short break. We ate out at Fruin Farm, Duck Bay and The Boathouse. All good and very different. The kitchen was very well equipped so I am sure a keen cook would find everything they needed. We enjoyed the fun of the Nespresso and googled instructions on how to use. The welcome pack was excellent too. You get the view of the lock you want and on our firstcdaycwe saw an Osprey. Fab. The place has great facilities and was very comfortable and spacious. Only snag was automantic lights in the bathrooms which left you in the dark. But a minor quibble. Good wifi. It was a thoroughly enjoyable few days we spent there. The place was superb with great views, right on the water.and Liz was a pleasure to deal with. We had a great time staying at the Jetty. Our kids loved the small pebble beach and paddling in the loch. House was lovely and comfortable. View was to die for. We'd stayed by Loch Lomond before but, unless you have views of the water, it could be anywhere as the Loch isn't always that accessible. Jetty Lodge, with picture windows direct onto the Loch at ground and first floor level, solves that perfectly. The space is very cleverly used inside this holiday home and we had a truly epic few days. We've stayed at jetty lodge several times & have never been disappointed. The location is unbeatable, with amazing views across the loch. Everything you need is provided in the cottage & Liz & the team are friendly & accommodating. I am certain we'll be back & I would definitely recommend! Stayed here for 3 nights with family. Big, modern lodge with two separate living areas, perfect for two couples or family. Lovely welcome touches on arrival. Spectacular views across the lodge. Absolute bliss! Was an absolute pleasure to stay here in this beautiful lodge ..all the home comforts provided and in an excellent location.. two full living areas was the key to our stay for our family. Would highly recommend this for anyone considering to stay here.. thank you . Although we have stayed in other Auchenheglish properties, this was our first time lochside and oh it was certainly worth the wait. The property commands spectacular views from the floor-to-ceiling window as well as the double balconies. The interior is furnished to high standard and guest have a welcome food pack, including a bottle wine to start your stay in style. There is also a comprehensive information book with all the information a visitor needs. From time of booking through to arrival Auchenheglish staff were helpful and friendly and kept us updated on booking status as well as necessary arrival instructions. We look forward to returning to this property and enjoying its magic of stealing away stress. Great place to stay, had such a nice relaxing weekend. Close to various things like shops, Loch Lomond shores etc. Definitely would reccomend and hope to be staying here again in the future. This is the third time we've stayed at this fantastic accommodation & it won't be our last! This house is in THE most fantastic lochside setting & customer service was fab as always - I would thoroughly recommend auchenheglish lodges, we've stayed at several of their properties & never been disappointed. Location is amazing and Jetty Lodge is so relaxing. Peaceful but shops and local places to eat very accessible. Thank you for another wonderful break at one of your lovely properties. This is the third time we have stayed at these lodges although our first stay at the Jetty. The lodge is bigger than the others however as we were under-occupying, it the upstairs bedroom was locked. The lodge is cosy and beautifully furnished. Nothing had been overlooked, there was even a set of binoculars! The views from the deck, conservatory and the upstairs balcony are just exceptional, we could have sat just watching the changing light for hours. It's also only a short walk to Duck Bay Marina if you fancy eating out. Altogether a wonderfully relaxing few days. Fabulous location, ideal for a young family or couple. Our kids loved the jetty for fishing and swimming. Nice private area giving fantastic outdoor dining whilst taking in the amazing views. Within walking distance of a nice bar / restaurant. Only tiny niggle would be that there's just showers and a good soak in a bath would've been nice after long walks but not a deal breaker. marvellous, connected with my old self. Got the kayak sat outside and even though the weather not in favour for usual beach burning was great for adventure in the yak. didnt realise how much looking out a big window was good for the soul. A lovely two storey self catering property literally on the banks of Loch Lomond. There's a small but well equipped kitchen and a large living space with floor to ceiling windows looking across the loch. We barely turned the TV on during our week as the activity or the mirror like stillness just outside was totally captivating. As always a fantastic stay. This was our 8th visit to these lodges. Accommodation excellent in a superb setting everything you need is supplied. Also had gorgeous weather this time. Looking forward to next year!! I booked this on behalf of Spanish family, relatives of mine. They had come to be at my daughter's wedding nearby. They were very impressed with the lodge but the staircase was a bit dangerous for such a young family. However they loved it. This is our second time booking with Auchenheglish Lodges and the 1st stay in the Jetty Lodge. We absolutely loved it and so much so will be booking fro the same time in 2017. Breathtaking location, so quiet and peaceful, yet lodge had all mod cons to make it a home from home. Facilities were great, we are a family of 3, our child is 18 months and we loved the fact the travel cot, highchair and stair gates were provided, meant we could travel light. The staff were very friendly, nothing was too much trouble. The lodge was immaculate and the basic food/drink (including wine) in the kitchen was a nice touch. Would also like to mention that we left a set of hair straighteners in the lodge, valued at £150. The cleaning staff had handed them into the office and these were returned to us by post. we had yet another wonderful stay in the Jetty Lodge ,stunning scenery of Loch Lomond, can't wait to visit again for our sixth time. Booked here as attending a wedding at Cruin and wanted to make a weekend of it. Jetty had everything we could want. Plenty of space great facilities. Truly luxurious lodges. Wine bread milk etc a nice touch on arrival. Lovely but could have been better! Absolutely fantastic location, the views are stunning from the lounge looking over the loch.. The reason I booked this particular lodge was the fact that it had a jetty as I have a boat and is the first time I've had it in a lake. First impressions were good, bathroom and kitchen a bit run down and did not have the quality standard of the rest of the lodge. The lighting was quite poor either too bright with some lights on or too dim with others on, also the led lamps were different colours through out and even in the same light fitting! which just looked so wrong. (Some warm white and some ice white in colour) just a simple fix for the handy Man surely??? Bathroom fans were quite noisey and were on sensors with the lights so there was no manual control over the operation.. Also if you were in the shower for more than 5 minutes the lights would go out into total darkness, solution was to open shower door to trigger your next session. Again just a simple job for a handy man installing a quieter fan and maybe adjusting the timer switch?? That two lounge areas were a nice touch and perfect if you fancy a bit of me time perhaps! The TV upstairs was great picture connected to the sky box. However picure downstairs very poor and needs electrician or sky engineer for maybe 10 minutes..
Also the TVs in the bedrroms were tiny and looked about 20 year old. Pitcure quality also terrible. And you could only watch what was on the sky channel but had to get out of bed and change the channel in the living room!! I'm really not that bothered personally about watching TV in bed but again it's just these little things that spoilt the good quality finish everywhere else..
Then one night it was quite windy a my mooring line snapped on the jetty (I know this was nobody's fault really) but here is the gripe again against the lack of maintenance on the property. The jetty had wood missing from the side and no protectors on the 'sharp' metal corners! So my line snapped the boat swang round and the sharp metal corner was digging into boat all night! It has caused about £600-£700 worth of damage to the hull.. Now the fact that the rope snapped I have to take responsibility for that. But again I paid £1560 for a week stay here and it is so annoying that some of the profits cannot be spent on the upkeep and maintenance of the place! So overall this lodge is in an absolutely perfect location it's just a damb shame that the relatively small repairs above could not have more attention paid to them and this then would be one truly awesome place to stay! And would warranty the £1560 weekly cost! I really don't want to put anyone off here this is a fantastic place.. This is more of a message to Auchenheglish lodges and hopefully make them aware of these maintenance problems.. This was our fifth stay at an Auchenheglish property and we will be back again! Accommodation is excellent, the location even better. The staff are helpful and friendly and will go the extra mile to help make your stay as good as possible. Would highly recommend without hesitation. This was our 3rd visit and as usual was perfect. The location is outstanding, your own private decked area overlooking the loch. The local area also has lots to do and see. From booking the holiday to leaving and handing in the keys fantatic serviceGreat house wonderful location and beautiful views. Would definitely come back again. Booked The Jetty Lodge for guests attending my daughter's wedding at the Cruin. They didn't want to go home! Views to die for and all the comforts of home. Had a lovely stay here at Jetty Lodge with my elderly parents it was perfect , downstairs bedroom ,lounge , and beautiful glass room looking out onto the Loch ,which they enjoyed ,Upstairs there was another lounge television and comfortable cTherouches which my sister and I made use of at night without disturbing our parents at night ,Already planning our next isit.